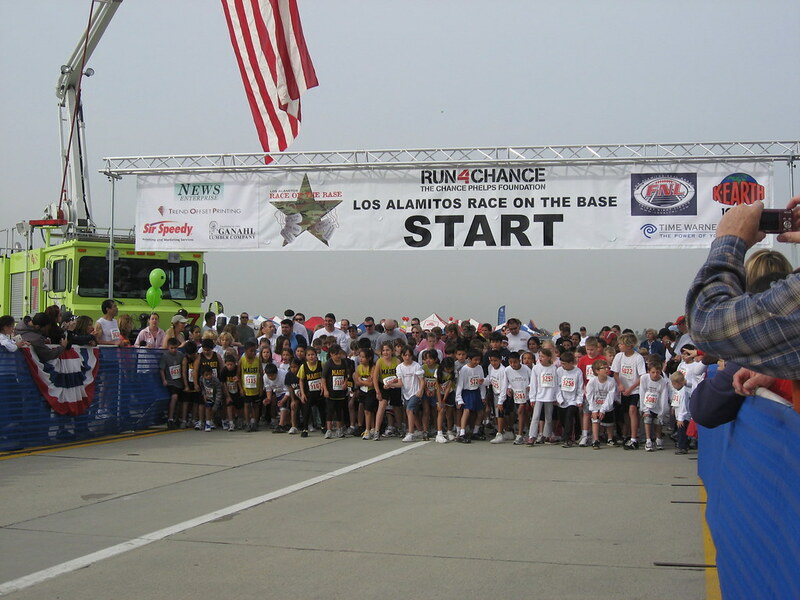 The Green Girl raced in the Los Alamitos Race on the Base 5k this morning at the Joint Forces Training Base (JFTB). There was a 5k, 10k, reverse triathlon, and 1k for kids. 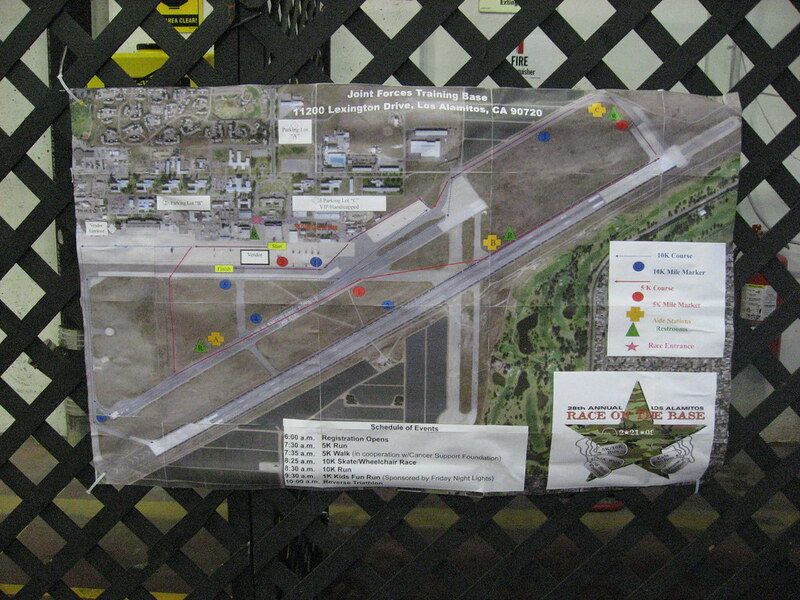 The course looped around the airfield. This was the first time I'd run since the Surf City Half Marathon three weeks ago. I taped my ankle up before I went to bed last night so when I woke up this morning and got out of bed, my foot felt really good. There was no pain in the arch for the first time since I sprained my ankle. There were a number of groups of military personnel running in formation and chanting. Each time they went by me, I tried as hard as I could to keep up with them but I could not. Honestly, I got tired in the first mile of the race. My official finish time was 36:30. According to Mr. Green Garmin, I finished in 36:16. 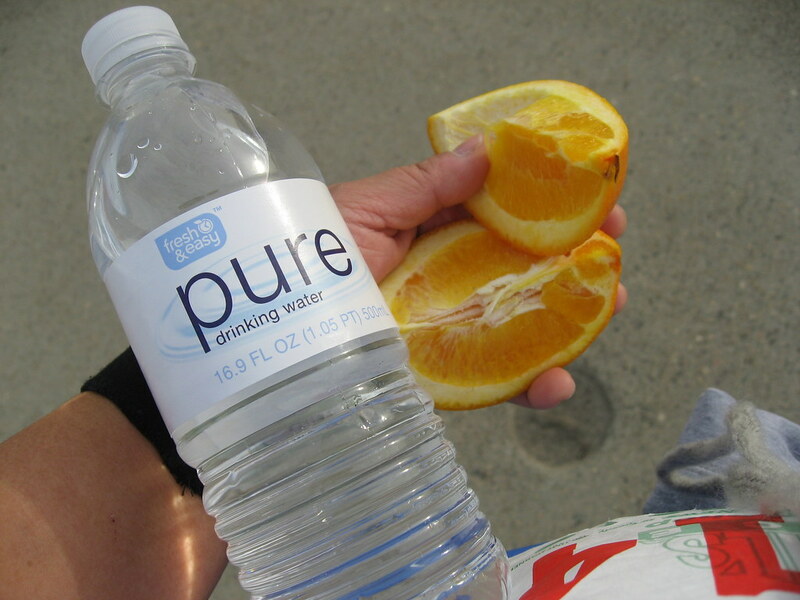 I was thrilled to see bananas and orange slices as soon as I crossed the finish line. I headed over to the Expo to check out the booths. I stopped to get a free five minute massage from Complexions Day Spa. I was really impressed with the quality of the Expo. It was much better than the Surf City one. 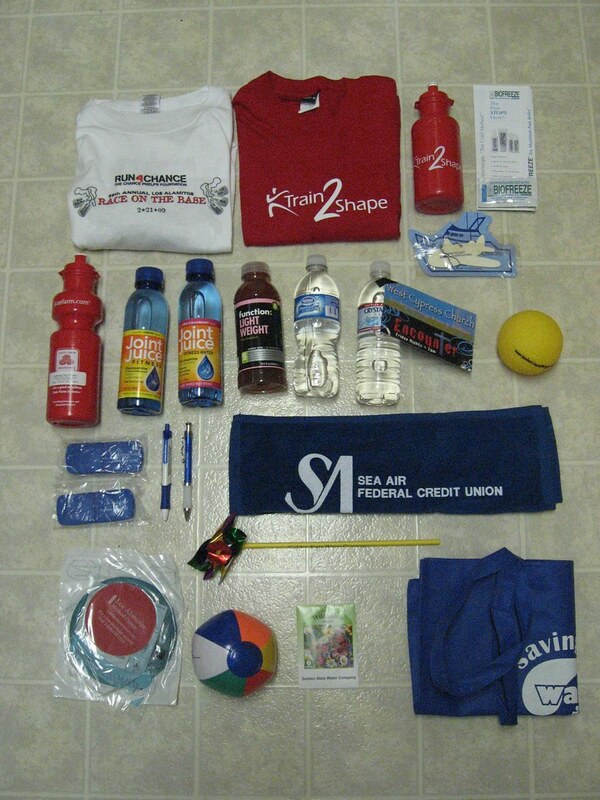 I got a lot of really cool, free stuff. I even made my very first race apparel purchase. 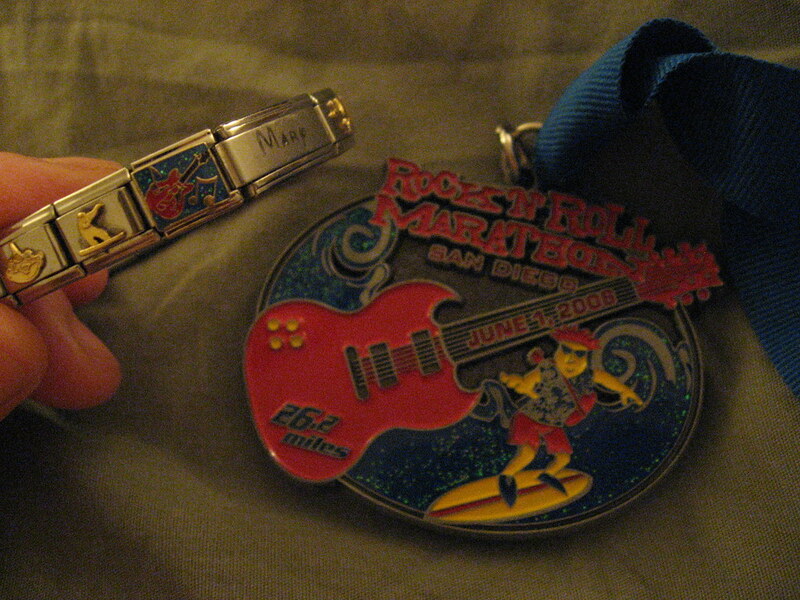 (My very first race purchase was a "Rock 'n' Roll" guitar Italian charm that matched the race medal perfectly.) 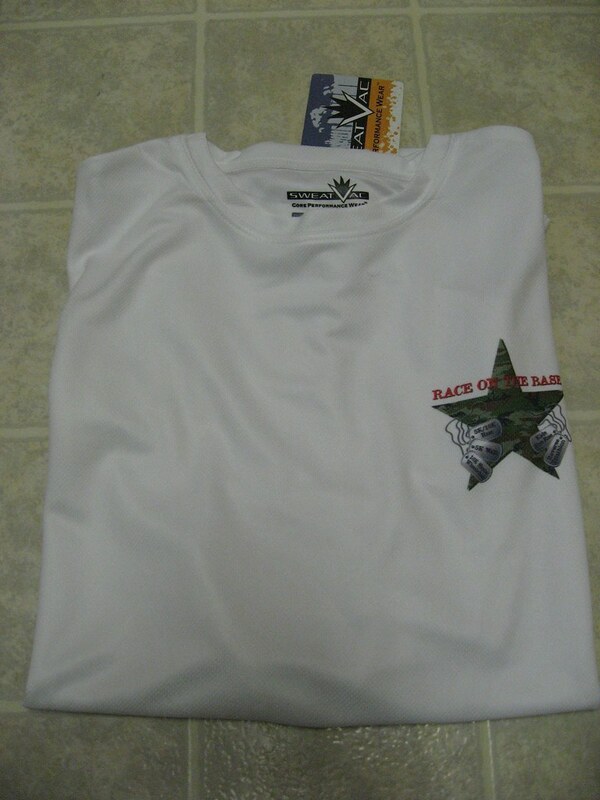 I got a technical shirt with the Race on the Base logo for $20. I watched the 1k for kids. It was so cute to see them in their starting positions. 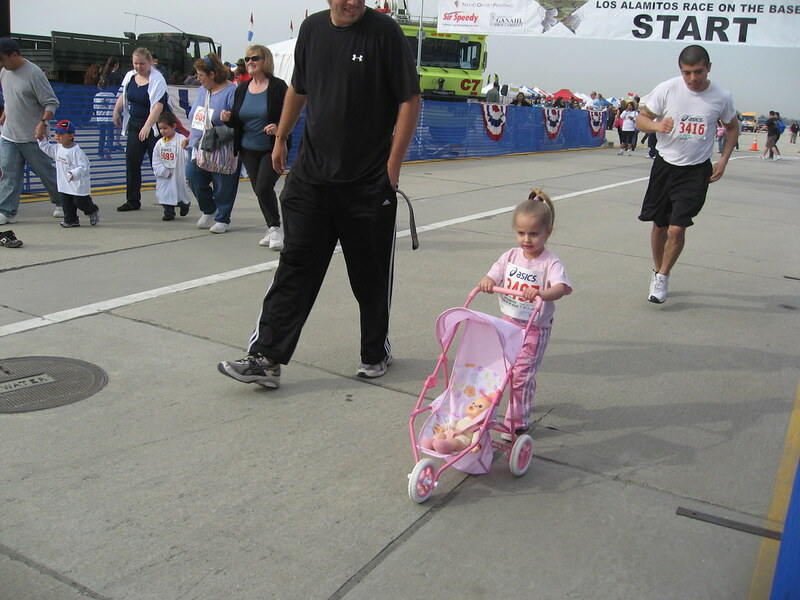 My favorite runner was this little girl dressed in all pink pushing a little pink stroller with a doll. I loved that she was taking her time. 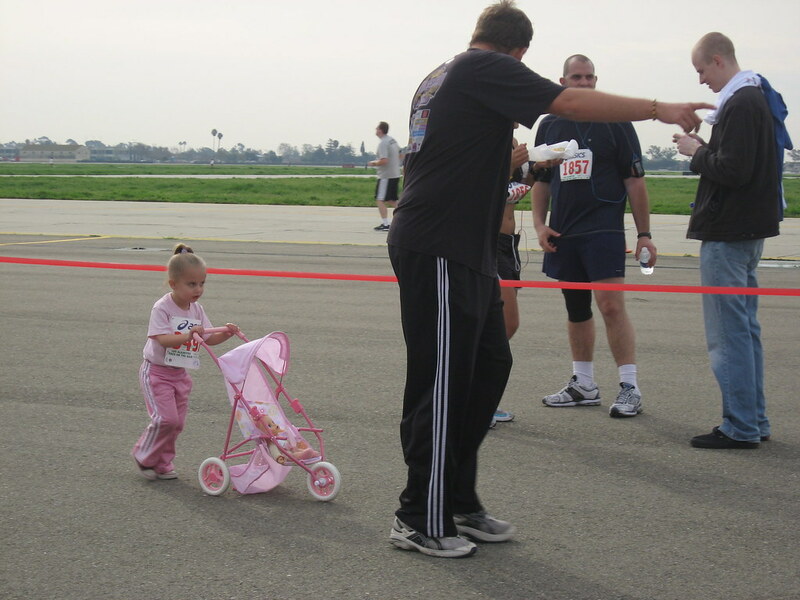 At the end, I saw her casually veering off the path to the finish line. Penny, I'm sorry I missed you at the reverse triathlon. 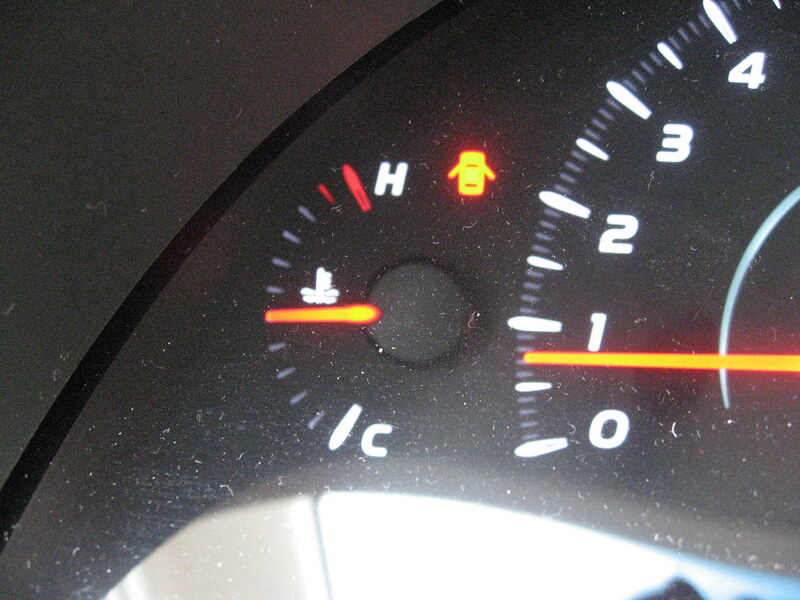 I headed home after the 1k. I was uploading my pictures when I got a call from The Crossings at the Bay. I had entered my name in their raffle for a beach cruiser and I won. I couldn't believe it. Anyone who knows me will attest to how obsessed I am with getting a bike. My boyfriend hopped in the car with me and I headed back to the base to claim my prize. 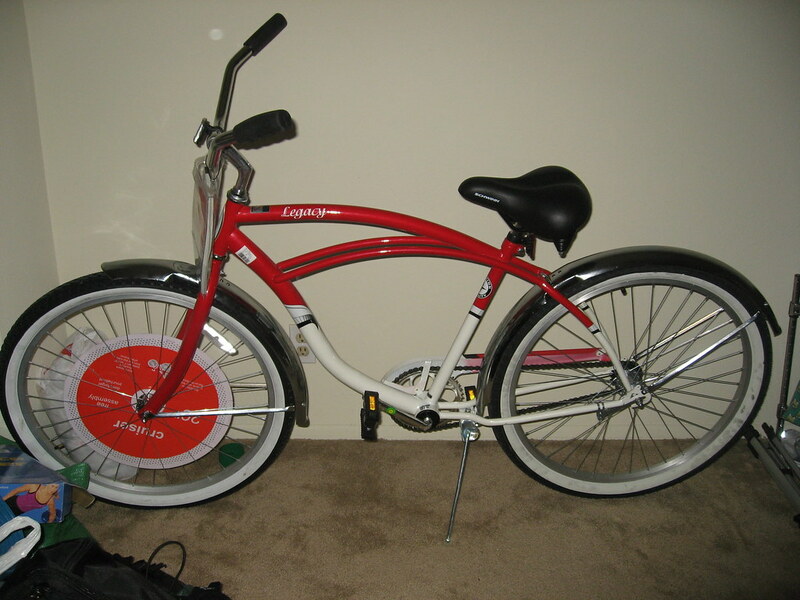 As I was rolling the bike to the parking lot, the announcer congratulated me on winning the cruiser. I waved happily. 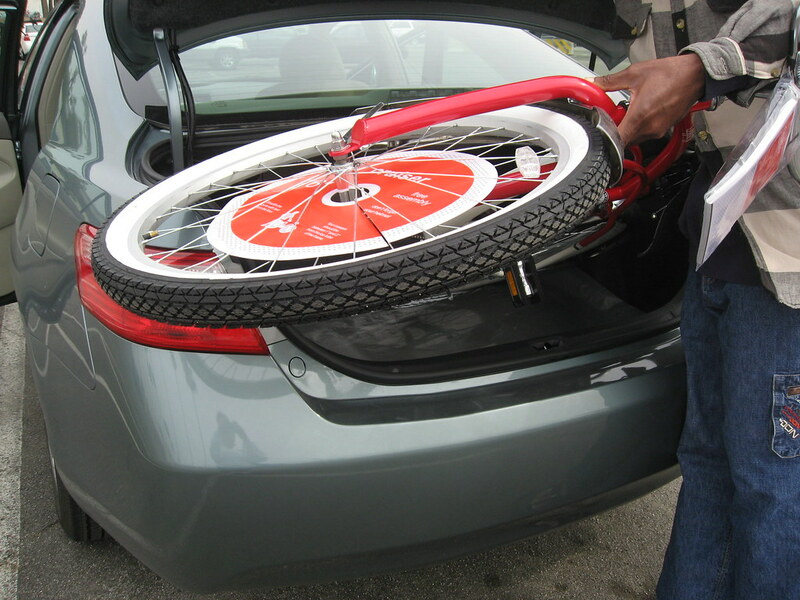 We folded the backseats down but the bike was too big to fit through the hole. 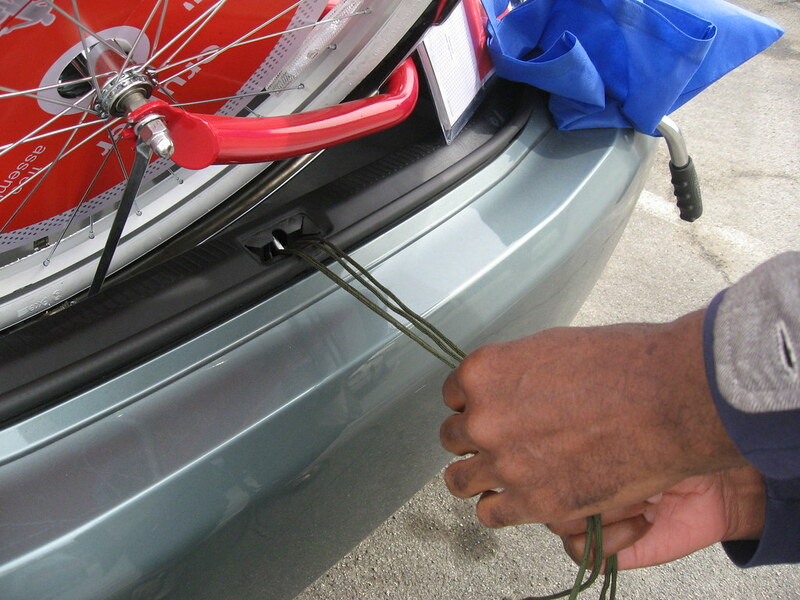 Using some string, we secured the bike to the best of our ability and I slowly drove home. 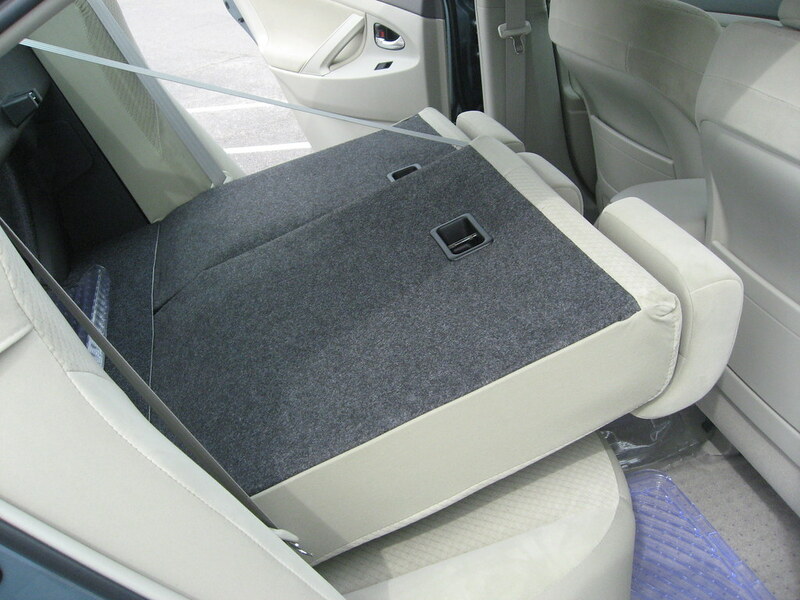 My car kept beeping at me to let me know the trunk was still open. 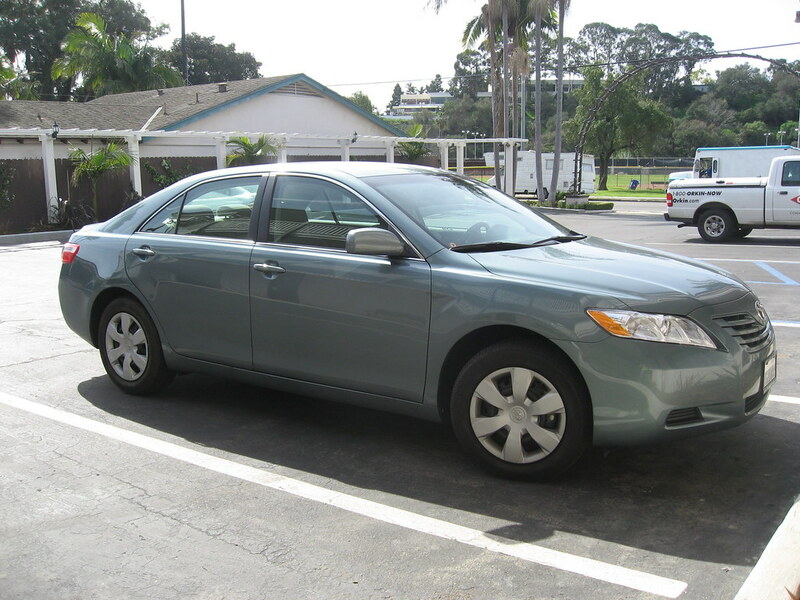 We got the bike home but, unfortunately, when my boyfriend was taking the bike out of the trunk, one of the screws scratched the bumper of my brand new car. It was the very first scratch. I wanted to take the bike for a ride but I realized it's too big for me. I'm only 4'10.5" and there's no way I could get on that bike without stepping on something raised first. I'll have to figure something out.